PODCAST: What does the future hold for Cardiff City? It started with a tweet from Al-Arabi Sports Club. A simple clock emoji with ‘-1’ next to it. There was a video, too, of a Viking clap and a narrator describing the famous clap undertaken by the Icelandic national team. It didn’t take long for the speculation to start. Tweets were sent, WhatsApp messages exchanged. It looked like Cardiff’s Icelandic midfielder Aron Gunnarsson would be leaving the club. 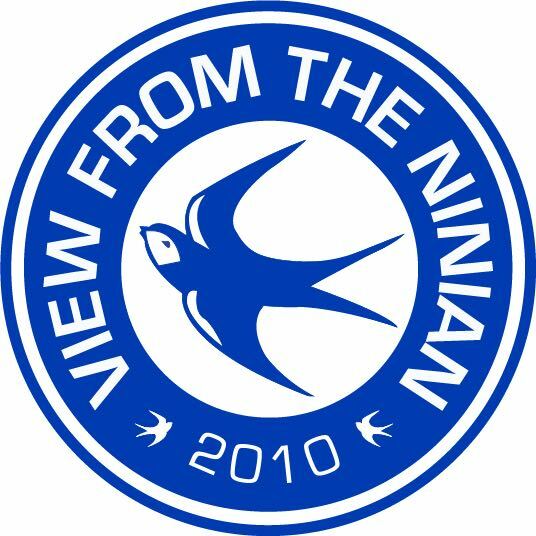 Regular readers of the View From The Ninian analysis will know that I am a big Gunnar fan. I think he’s been one of the standout performers this year and his return to the side after missing the first few games was a real catalyst for getting our season back on track. We all expected Gunnar to leave at the end of the season – he only signed a one-year extension last summer. He’s had his long-standing battles with fitness, a byproduct of an all-action player who gives his all. That doesn’t make it any easier. The feeling I felt upon seeing the news can only be described as reluctance. Reluctance to accept that the long-standing Iceman would be leaving the club. It seems like an age ago that Aron Gunnarsson joined Cardiff City. I remember being excited about him joining the Bluebirds – he’d been a promising player on the Football Manager game franchise. He joined on a free transfer, the fifth signing of Malky Mackay’s new reign. He was a young man then and made his debut in that 1-0 win away at West Ham United on the first day of the season. What a game and what a day to make your debut. In many ways, that game summed up what Aron Gunnarsson would bring to Cardiff City. A warrior that would fight to the end. For the last eight years, Gunnarsson has led that fight. For club and country, he has been a real leader. In Cardiff, he’s experienced the highs and lows with all of us fans. From winning promotion under Mackay to the rebrand and the fallout from that. The Icelandic captain was a key component of Mackay’s promotion-winning side and indeed in the Premier League. His finest moment in the Premier League came in a 3-2 win against Manchester City, where he scored the opener. It would be possible to sit here all day and reminisce about Gunnarsson’s finest moments in a Cardiff shirt. He united the city in support of Iceland against England, he fought when so many were ready to put down the sword and always gave 100%. Many will remember his goal last season against Nottingham Forest, the winning goal in a must-win game during the run-in that ultimately sealed promotion. Some were ready to see him go last summer, but Warnock kept faith in Gunnar and that has been rewarded this season. The Icelander will fight to the death for this club and wears his heart on his sleeve. We know he’ll continue to do that for his final eight games in a Cardiff City shirt. So as Cardiff City prepares to say goodbye to Aron Gunnarsson, we must say thank you. Eight years a Bluebird, forever a Bluebird. Is he Gunnar stay, or is he Gunnar go?